Rabbi Hazzan Jeffrey Myers, the rabbi of the Pittsburgh synagogue attacked on Saturday, previously served at the closed Congregation Beth-El in Massapequa, the now-combined congregation's rabbi said. Police escorted Myers from Tree of Life synagogue after Saturday's shooting, Pittsburgh media reports show. Rabbi Chuck Diamond, a rabbi at Tree of Life for the seven years before Myers arrived, said he saw him after the shooting at the nearby Jewish Community Center where many survivors had gathered. Diamond, who was a young rabbi at Temple Israel in Great Neck in the 1980s, said when he saw Myers, he was being interviewed by police and he didn't ask him for details about what happened. "He was shaken but he was OK," Diamond said of Myers. "I just gave him a hug." Reports from Long Island and Jewish media organizations show Myers' path to Pittsburgh included stops in Massapequa and New Jersey over the past three decades. Public records show he lived in Elmont and Massapequa between 1991 and 2010. 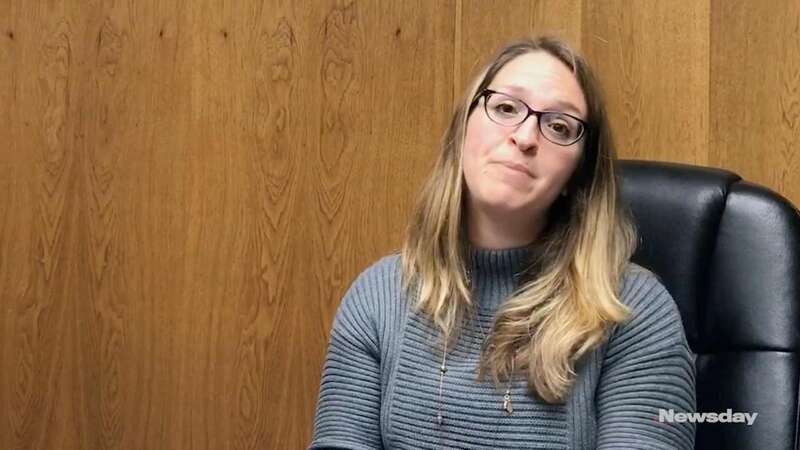 Rabbi Dahlia Bernstein of Bellmore-based Congregation Beth Ohr said Sunday Myers had served as a cantor for more than 15 years at the Massapequa congregation before it closed and merged with the Bellmore center in 2016 to create Beth Ohr. Eleven people died in Saturday's shooting, police said Sunday. Myers was not among those killed. Rabbi Jonathan Kremer, with Shirat Hayam, worked with Myers in Ventnor, New Jersey, from 2014 to 2017 when Myers was cantor at the congregation that was then called Beth Judah. "He is rabbi and cantor at the Pittsburgh synagogue, Tree of Life," Kremer said. "He's dedicated, knowledgeable. He had quite the following at our synagogue." Myers in his July 19 "Message from the Rabbi" to Tree of Life congregants wrote about gun violence and lamented how each new school shooting pushed the previous ones out of the news cycle. "Now that schools are closed for the summer, apparently school safety is not important, as shooters are finding other valuable sites," Myers wrote in July, adding later in the message, "Despite continuous calls for sensible gun control and mental health care, our elected leaders in Washington knew that it would fade away in time." The Pittsburgh Jewish Chronicle noted the New Jersey native's arrival at the Tree of Life Congregation in an August 2017 story and said Myers' dual roles as rabbi and cantor appealed to the congregation. Trump to head to Pittsburgh; suspect appears in courtThe rabbi of the synagogue that was attacked is willing to meet with president. Meanwhile, prosecutors want to seek the death penalty for the defendant.